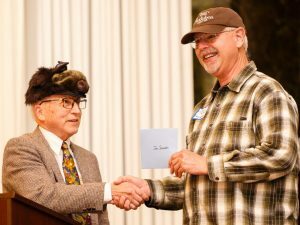 At the Annual Awards Dinner on December 5, celebrating 20 years of North Texas Master Naturalist, John Snowden was presented with an honorary lifetime award as a “Special Friend” of the chapter. He is the fourth person to be so honored, joining Genie Fritz, Roger Sanderson, and Ben Sandifer. 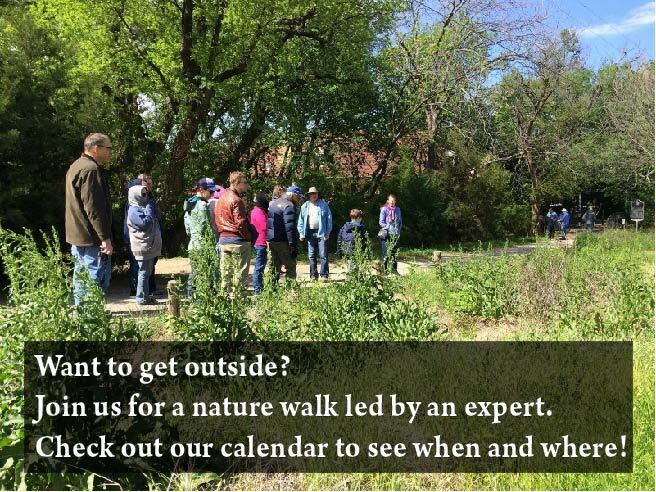 I first met John in conjunction with Native Plants & Prairies Day in 2013, when he was leading walks on the prairie near the Bath House Cultural Center on White Rock Lake. I was impressed with the way he worked with both the children and adults who went on his walks – patiently explaining the grasses and flowers on this small remnant of Blackland Prairie. By his own account, John has been restoring nature in the East Cross Timbers soils of Arlington as Bluestem Nursery on his parents’ land since the 1980s. He has developed extensive knowledge of soil profiles, topography and water needs of a vast variety of plants, and nurtured their growth in the fields in his nursery. In 2018, John’s parents decided to divest of the land, and several of our members helped to rescue the acres of native grasses, sedges, vines, saplings shrubs and forbs on the property. 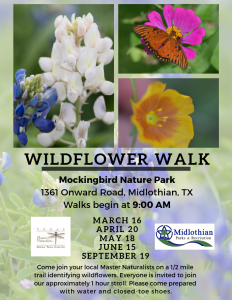 These plants are now finding their way to other prairie remnants and locations such as White Rock Lake, Twelve Hills Nature Center, the Great Trinity Forest’s Big Spring, and Texas Discovery Gardens. Jim Shouse has echoed this thought, commenting: “John has always been very generous with his time, his expertise and knowledge, and his plant material, and has been a great supporter of Trinity River Audubon Center (TRAC). He has wanted the variety of grass to be appropriate for specific soil type and conditions that are present there. At the Awards Dinner, both Ben Sandifer and Dana Wilson added some great comments. Dana has two thoughts when she thinks of John. The first is how stubborn he is – how that means he doesn’t quit, even in the face of tough situations. He remembers, hounds people, and stays on top of opportunities out there and challenges we can attack. We see this in his pushing for plant rescues even as the bulldozers are getting ready to roll. Secondly, she thinks of his generosity – his incredible sharing of plant material, time, and muscle, and knowledge. She saw this many times at TRAC when he’d bring a whole trailer of native grasses – at no cost whatsoever – then stay to work all day with volunteers, instructing the planting while working in stories about the grasses and the prairie…turning those volunteers on to the conservation message in a very effective, hands-on way. Following the awards presentation, John communicated to me that he and Randy Johnson (Randy Johnson Organic Landscapes) are getting a new partnership off the ground that they are tentatively calling “Randy & The Grassman.” He said “Randy and I will be reintroducing attractive native plants, soil health, even the ugly little support plants that enhance the showy big ones, to those who have little country ranchettes up to huge ranches restoring the land, plus schools and parks.” Their knowledge and plants will contribute to a vision of a brighter, more natural future that functions in every park and yard.